Enough of this cleaning and organizing. (I cleaned out two more kitchen drawers yesterday. Yawn.) You want to see some food, am I right? It’s time for dessert! I certainly haven’t been baking up a storm here, even being home for the summer. 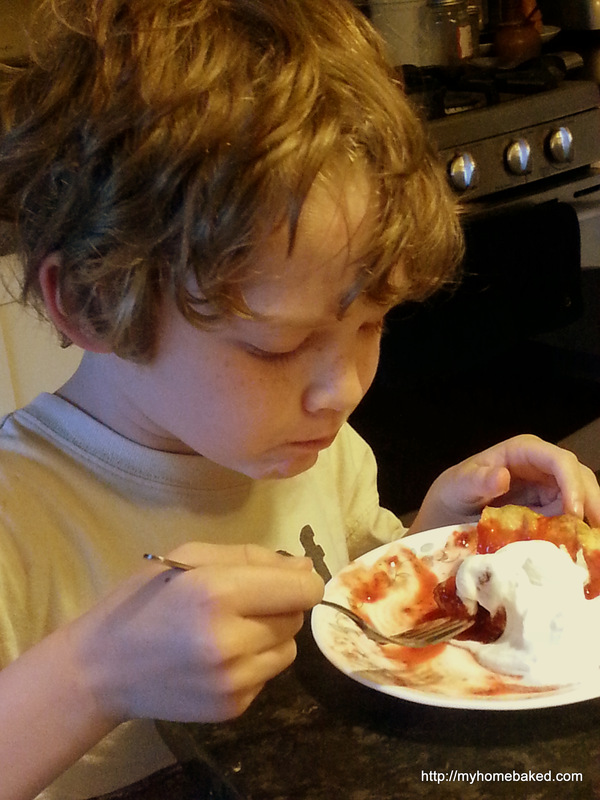 But after spending $10 on farmer’s market strawberries, I felt the need to respect the investment. 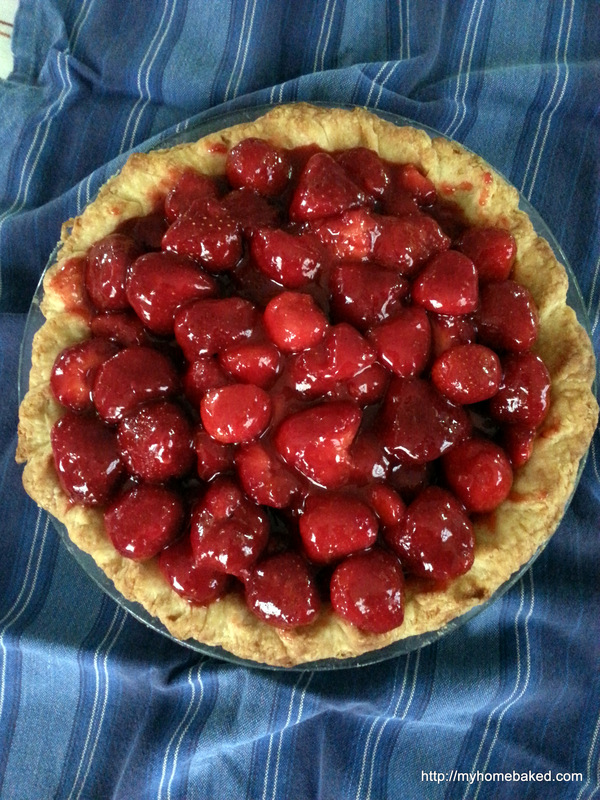 It’s Cook’s Illustrated’s Fresh Strawberry Pie, a recipe that has you make fresh strawberry jam to glaze the berries. I even (mostly) followed their recipe for the pie crust. Between the two, I spent four or five hours on this pie. 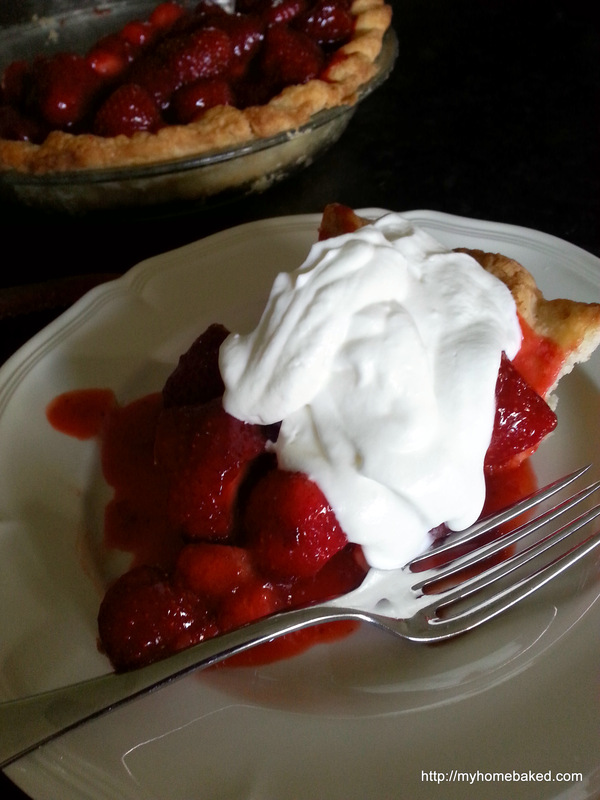 It was wonderful, but I confess I found myself thinking I would have been just as happy with my grandma’s version of strawberry shortcake: pie crust baked flat on a cookie sheet, then broken into pieces in your bowl,topped with juicy sugared strawberries, and a generous glug of half and half. No worrying about trying to serve the pie in the short window between “chilled” and “so juicy the crust is getting soggy.” Am I trying to dissuade you from making this pie? I don’t know. It was really, really good. 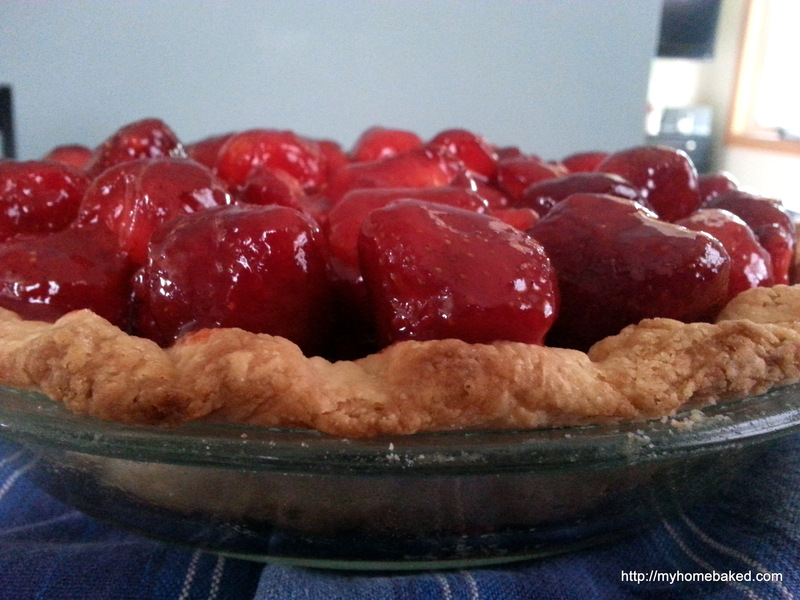 There is no better strawberry pie. Except maybe a deconstructed one. People licked their plates clean. Literally. Grandma Good’s pie crust/short cake was the best. I still use it when I want some Indiana strawberry comfort food. I love this idea! The pie looks amazing!